Disclosure: This post is written by me on behalf of Global Influence. All opinions expressed are 100% mine. My mom has always been such an inspiration to me. The number one thing I will always take with me and pass on to my own daughter is, beauty comes from within yourself. Its not the make up, hair color or clothes we wear its who we are and the natural features we have that are beautiful. My mom wore very little make-up and did not really fuss with her hair but there was one meticulous beauty regime she lived by. That was taking care of her skin. Dirt and oils build up throughout the night, remember to wash your pillow case often too. Plus you never want to go to bed with your make up on so it’s important to get your face nice and clean before you hit the sheets. Besides keeping your skin hydrated a good moisturizer can help keep your skin smooth and soft. Your skin is made up of cells. Just like other cells in your body they need to stay hydrated. Lack of hydration leads to dry and flaky skin. Not only does your body need it but your under eye area will thank you after a good nights sleep. I try to find a daytime moisturizer that has a SPF already in it but if you don’t apply sunscreen to avoid premature aging. 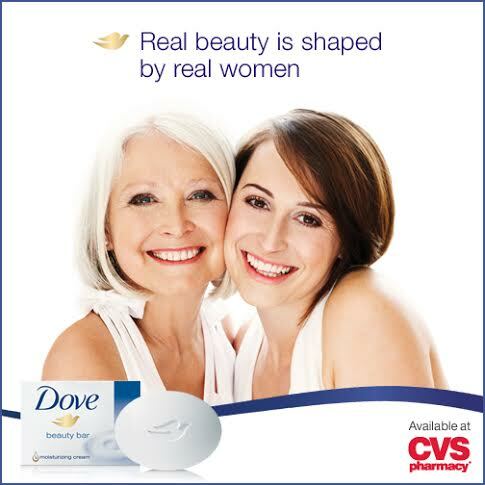 Dove knows the importance of real beauty, shaped by real women. So they are celebrating with a fantastic campaign that will give thanks to those that helped us shape the way we see beauty and hopefully inspire other women and girls to discover their own. Share your beauty tips, routines and who inspires the way you look at beauty with the #BeautyStory. Check out this amazing video from Dove’s to hear one family’s inspiring #BeautyStory. Watch four generations of women pass along their #BeautyStory secret: their Dove Beauty Bar. I was so touched when one of the daughters said “My mom was the one who started this all off, and she passed it along to me and my sister. Then we passed it along to our daughters. So I guess it’s kind of like a family secret.” How cute is that! I plan on passing along my moms skin care tips to Bri and hopefully our #BeautyStory skin care tips will continue through her children. 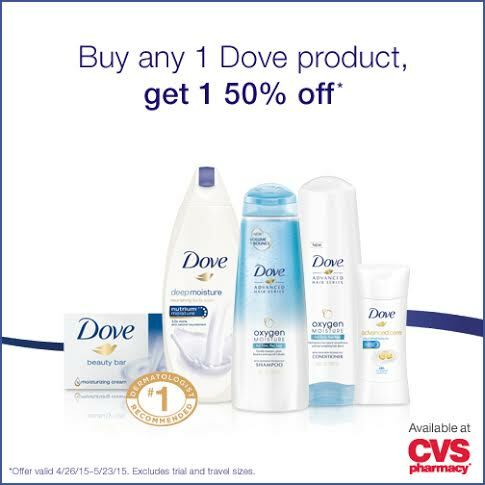 Now until 5/23 when you purchase any Dove product at CVS you’ll receive 50% off your second Dove product of equal or lesser value. What are your #BeautyStory skin care tips that you’d like to share? Excellent tips! I know I need to remember to hydrate more. It does make such a big difference in skin care and so many other aspects of our health, too! Awesome tips! I am trying to find ways to keep the wrinkles away. I don’t do the moisturizer so that is one thing I need to do. I try to drink a lot to help me body out! These are some great tips. The #1 I miss out on is getting enough sleep! These are great tips. I need to be better about most of these. Thanks for the reminder. Excellent tips. I do all of these except that I can not remember the moisterizer. I try to get it done at least 4 times a week, but I should be doing it all the time. I always avoid to expose my face on sun during summer. I have to admit that this makes a huge difference! Spring is a great time to get a professional facial to ensure deep pore cleansing and exfoliation to rejuvenate your skin from winter dryness. You’ll see the difference and it will prepare your skin with a fresh Spring glow. I always follow this tip. 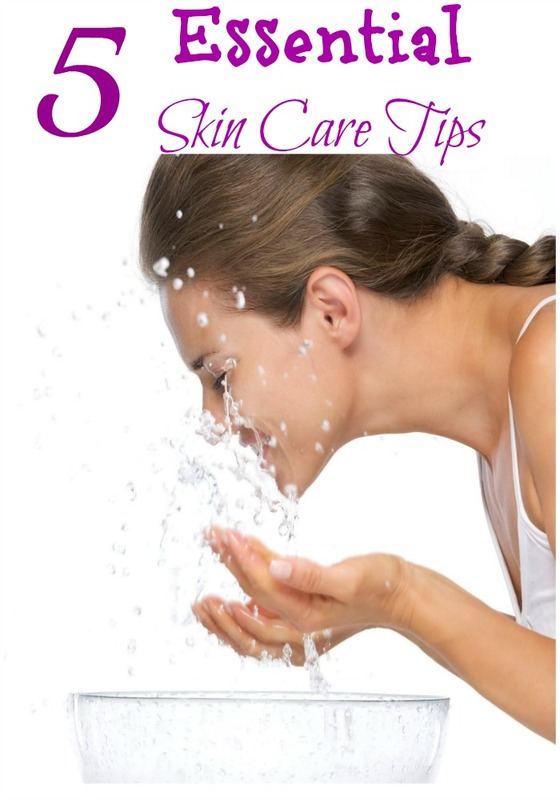 Hello,I read this post,it gives great tips and useful knowledge,it is very useful to take care of your skin in winter and summer seasons.Good post,Thanks for sharing useful tips. Getting in the routine of washing your face twice a day is so important to making sure your skin stays healthy. I also had no idea that staying hydrated could be so beneficial to healthy skin! As we age, skin becomes dryer and thinner. Repeated movements of facial muscles, such as frowning, smiling or squinting, cause wrinkles over time. nice post. That’s a good point that dirt and oils build up throughout the night. That’s why you regularly wash your face. Even then, your face naturally degrades over time, so services like coolsculpting or botox can be used to maintain your skin. Nice tips! This should make a daily routine. I strongly agreed with two points, that is, having a good sleep and keeping our skin hydrated can make a lot of difference in our skin.